You are here: Home / Are you ready to welcome “Gutenberg”? The brand new WordPress 5.0 version has now released. This article is going to highlight what makes this latest version unique from the previous releases. 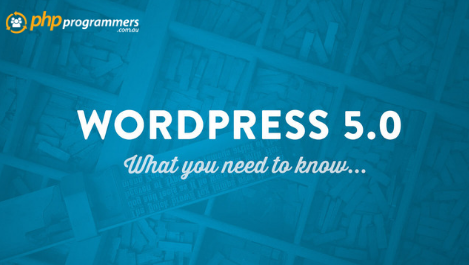 Also, you will get to know what new WordPress 5.0 is offering, what new you can expect from it, and how these changes will impact your business website. Finally, Gutenberg is in the market! No, the German guy from the 1400s is not back! It is the brand new block-based WordPress editor. Is your website based on WordPress? Well, then maybe you need to rebuild it just like 75 million other websites made on WordPress platform because of the launch of WordPress 5.0. With this newest version, the way of creating content with WordPress has changed drastically. 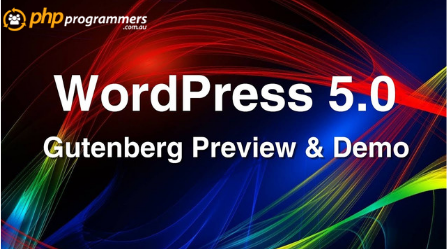 Let’s see what new features WordPress 5.0 has to offer and how it will impact your business website. In a hurry? Here is the cheat sheet to WordPress 5.0 with all the tips, tricks, and shortcuts. Not for you only, even for your WordPress developers, this cheat will be extremely helpful! As a business owner, you will be happy to know that this latest version will give you a more intuitive website-building experience. In terms of market share, WordPress is already leading. Now, with the improved site-building functionalities, it can become almost unstoppable! With the enhancements made in the WordPress Rest API, your WordPress developers can now easily create applications using this platform just like a framework. They can help you to build more feature-packed products by sending and pulling data from the website. With Gutenberg available in the market, building custom themes has become much effortless. All thanks to the block concept brought by this brand new WordPress editor. Suddenly, accepting a change may cause a dilemma among the site owners. Why? Because they might be thinking of what if the changes go so wrong that the business gets hampered! Yes, trying out new things always comes with so many questions! But once people use Gutenberg, the other rival page-builder plugins and tools might lose some relevance. Well, Gutenberg will make it easier for bloggers and business owners to create more engaging web pages for their websites without the need of adding a lot of custom HTML and CSS coding. The good news is that Gutenberg will help in reducing the learning curve associated with composting blog post through WordPress. Rearranging the blocks with drag and drop functionality and more. The aforementioned new features of WordPress 5.0 will definitely be a big help to the blog contributors. When all the formatting options are nearby, you can easily make changes and it becomes visible immediately. Thus, using Gutenberg, rearranging the content has become almost simpler than copy and paste! Thinking of writing the content offline and adding it to WordPress later? Obviously, you can do so. Most interestingly, there is no need to paste the content separately in each block. You can simply paste it into the editor and then convert the content to blocks. Also, you can make any changes if you want to! Thus, you can save a lot of time, which will ensure increased productivity. Other than the changes in the editing experience, Gutenberg introduces significant changes to plugins and themes as well. 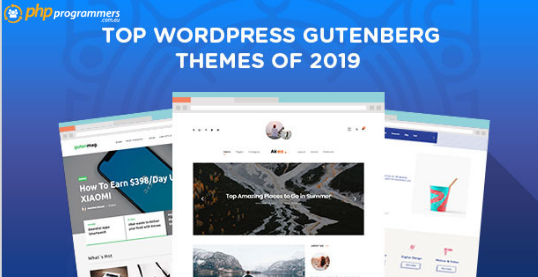 You might see a lot of Gutenberg-friendly themes are becoming popular now. Atomic Blocks, Hestia, Neve etc. already have gained a popular market base. Similarly, changes are about to come for the plugins as well. Currently, expensive visual composer plugins are needed to be added to have the same functionality. When the site owners have a better built-in WYSIWYG, these plugins may become unnecessary. This can be significantly pocket-friendly for the site owners. Worried about accepting the changes? No need to panic! Using Gutenberg is not necessary! You still can use the classic editor. However, you need to install the official Classic Editor plugin then. The website owners should start preparing for developing a new version of their website once the build becomes available. Why? It is because of all the potential for issues, the site owners should start early and need to spend time testing all the recently updated plugins and web pages. If you do this before the latest version of the website goes live, it will prevent loss of revenue and headaches, which can come from releasing a site full of glitches and learning about those issues and bugs from the annoyed customers! Well, for most of the business owners, creating a website from scratch might not sound like the most feasible option. However, if they look at the WordPress update as a great opportunity to freshen up the site and to build a new digital strategy, which will utilise more customized content, they will be benefitted indeed. Get in touch with any WordPress development firm for the best consultation services. The WordPress developers will guide you in the right way! Jonathan Paul is a veteran WordPress developer in Sydney and presently, associated with one of the leading Australian software development firms PHPProgrammers. With 12+ years of working experience in WordPress development field, he has helped diverse industry-specific businesses to get the right WordPress solutions to drive the business towards growth and success. For any consultation, development, implementation, support and maintenance-related issues, get in touch with Australia’s #1 WordPress development team.